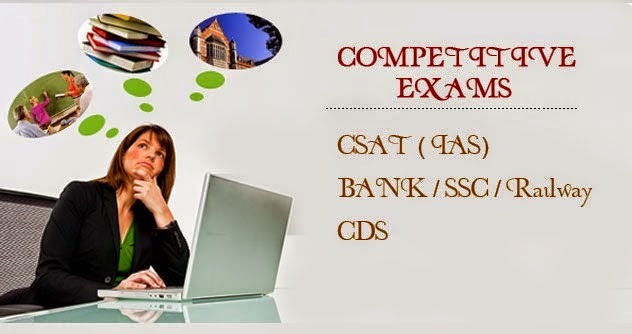 IBT is a professional job competition institute offering the best quality and customized coaching for SSC, RRB, FCI, CTET, SBI, IBPS and Banking Services. The state of art coaching institute, with strategic location – In Punjab , Jalandhar, near bus stand , has qualified pedagogy that can address specific concerns of the aspirants of job competitive exam. At IBT, all efforts are put in place to provide empowered coaching on one-on-one basis besides group coaching. The study curriculum is designed especially for job competitive examinations and which eventually makes IBT a unique coaching institute belonging to class of its own. We understand the importance and sensitivity of government oriented competitions and therefore make sure that preparation strategy is set accordingly. The trained faculty at IBT is the guiding force behind, and helps in building careers, and ensuring secured employment opportunity in different government sectors. IBT is India's No.1 Institute for Banking P.O,Clerical,SSC and Competitive Exams Coaching in India. The Institute Has produced Excellent Results in all banking and other Competitive Exams. The Institute's USP is the commitment till the success of its students. • Maximum Student satisfaction with Continual upgradation. • Online mock test lab & Mock test CD..
• Experienced faculty members including bankers. • Comprehensive Up-to-date Course Material. • Centralized ERP Login for Center Management. • Network in whole India having 29+ Institutes. • 6600+ Selections in different banks and govt. sector. Statistical Investigator Grade – II: Bachelor’s Degree with Statistics as one of the main subjects. Bachelor’s Degree with Mathematics( with Statistics as a papers studied in one year/two years/all three years as the case may be) as one of the main subjects. Bachelor’s Degree with Economics ( with Statistics as a paper studied in one year/two years/all the three years as the case may be) as one of the main subjects. SSC - The Staff Selection Commission has a nationwide network of 9 Regional Sub-regional Offices located at New Delhi, Bangalore, Chennai, Guwahati, Kolkata, Mumbai, Allahabad & Sub-regional offices located at Chandigarh & Raipur.